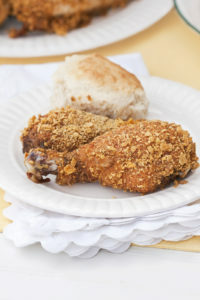 Large chunks of chicken being added to soul food supper of Chicken and Dumplings against blue gingham country style tablecloth. My local market had some whole organic chickens that were marked down. So a four pound chicken only cost me $4.50. Now, soup? Stew? Nope. Chicken and dumplings! After searching, I found this website with Weight Watchers recipes on it. You can find the full recipe here at 77 Healthy Recipes. I had cream of celery soup instead of cream of chicken. Thankfully it was Healthy Request version which has less sodium. Still, I’m feeling it a bit today. It’s important to find no or low sodium versions of things. That way you can season it for your taste. I pressure cooked the chicken, let it cool, and then pulled it apart. Which was quite satisfying, I have to admit. Anyway, I used poultry seasoning and pepper but no salt. Then I tossed everything into a clean Instant Pot insert and used slow cooking for two hours. I had some fresh small carrots from my CSA box that I peeled and tossed in. I honestly went back and forth about mushrooms but finally decided against it. Then about 15 minutes near the end, I tossed in some frozen peas. At the end, I turned off the IP and let everything sit. But What About the Dumplings? I admit, I cheated. I made biscuits since I was going to try not to have any. Hubby was happy and enjoyed everything thoroughly. The vegetables were perfectly cooked. The chicken was tender. I didn’t want to mess it up by boiling it and dropping in the biscuit mix. 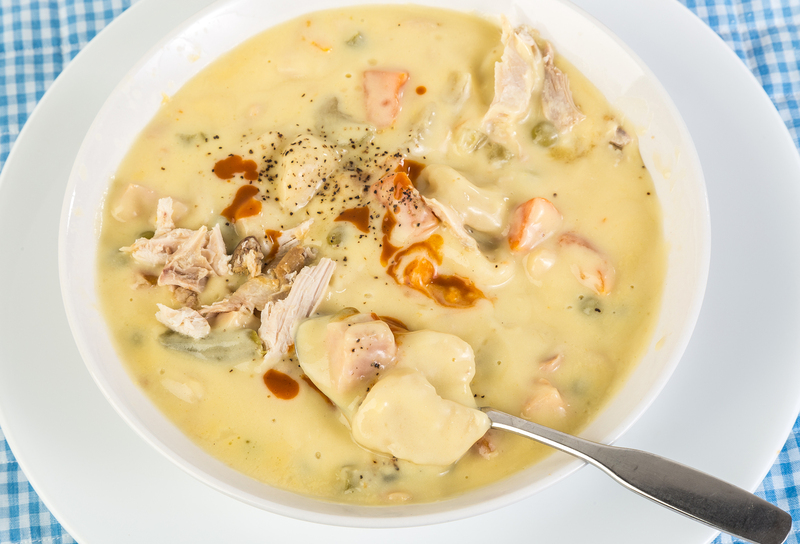 If you want a creamy feeling chicken stew but you’re going Paleo, fear not. I’ve found some good recipes that replace any condensed cream of whatever soup. Since I have leftovers, I may make some zoodles and pretend I’m having a chicken casserole.